Welcome to the new electronic version of the Social Sciences Department newsletter! Like many of you, I know I’ll miss the colorful, nicely printed hard copy, but as we emerge from the recent financial crisis and progress further in to the digital age, we are rethinking how to best communicate with our alumni. at spring commencement in June 2014. Cautious optimism is arising in the department as we continue to evolve in light of the new financial realities that surround higher education. In addition, with numerous retirements and personnel changes, we are a profoundly different department than we were a decade ago. 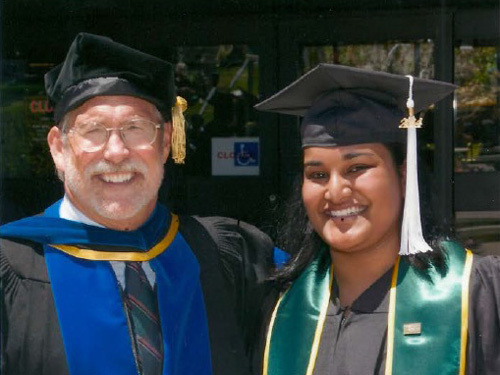 This past spring we graduated the first cohort of the anthropology and geography majors and sociology majors who entered Cal Poly as freshmen in 2010. We also hired three full-time sociologists and one cultural anthropologist, and we anticipate hiring three more sociologists in the next two years. Despite these widespread changes, certain core principles remain central to our programs — specifically Cal Poly’s Learn by Doing educational philosophy, reflected in our increased emphasis on student internships, study abroad opportunities and career planning. Given the challenging job environment that our graduates are facing, we are proud that both of our programs now feature requirements that encourage students to start planning for their post-graduation futures before their senior year. One-unit professional preparation classes in which students learn about the options open to them after Cal Poly are offered in both majors. Among other things, these classes teach resume writing, interview skills, and how to apply to graduate schools. Internships are also a growing part of our programs, and a number of students are taking advantage of them. A testament to the value of these experiences, included in this issue is a note from Emily Neavitt, an anthropology and geography student who obtained an internship at the Clinton Foundation in New York City last winter. Students are also benefiting from our annual spring career fair. This year’s fair was coordinated by Professor Stacey Rucas with strong support from our department advisory board. In light of the many changes, I wanted to take the opportunity to place our current department in historic context. 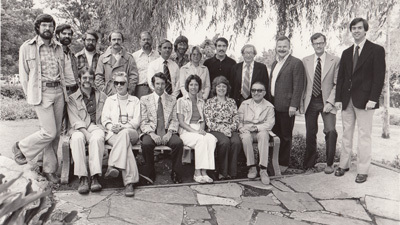 To the right you can see the Social Sciences Department faculty as of fall 2014 and the faculty circa 1978. Dr. Harold Kerbo, who will complete his last year of teaching at Cal Poly in 2013-14, is the only faculty member to appear in both photos! We look forward to another successful academic year. As always, thank you for your continued support. Keep us updated on your current activities and please stay connected through the department’s LinkedIn page.